Thrush & Son, LLC. 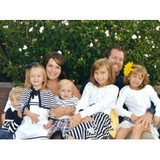 is a family owned & operated, home improvement company that has been in business since 1960. W. Allen Thrush, President/CEO, who has been involved with the construction industry his entire, purchased the company from his father, Wilbur, in 1989. Thrush & Son has continuously grown throughout the years and currently has over 100 men and women that work full time. Thrush & Son is proud to be one of six companies to be recognized as "Atlas Guys" in the roofing industry, as we received the Royal Gold Crown Award for excellence in the vinyl siding industry. 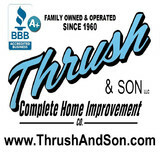 Thrush & Son also carries an A+ rating with the Better Business Bureau and was the runner-up for the Better Business Award Eclipse Integrity Award. We are a construction company specializing in Roofing, Siding, Gutters, Masonry, Basements, Windows, Remodeling and snow removal that proactively works with customers to meet their needs and provide economical solutions. Our customers are our biggest advocate. We have state of the art design systems to help customers bring their visions to life in real time. We also leverage our knowledge by consulting with “Do it Yourself” remodelers helping coach them on how to complete their projects economically. Our customers perceive us as caring, involved, part of their team for life. They trust us because we will make decisions and recommendations in their best interest. They see our character and know that we are not the standard construction company and that our employees have fun while doing excellent work. They see us as giving and compassionate always ensuring 100% customer satisfaction. We will continue to take 5% of our labor hours and donate/invest it in helping non-profit organizations like New Oaks Community – The Father’s House and Wounded Warrior. We have built our company on our reputation and our customer's satisfaction. We take great pride in serving our customers with 5 star quality at an affordable price. Because we keep our overhead low, we are able to offer low prices to our customers in comparison with larger companies. We're family owned and operated, we give free estimates, and we're fully insured. 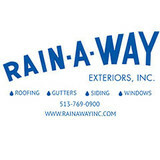 Rain-A-Way Exteriors, Inc. is a family owned business that offers complete Gutter, Roofing, Siding, and Window Services for both residential and commercial customers. We provide free estimates, are fully insured, and offer a 5 Yr. Workmanship Warranty. Rain-A-Way has always prided itself on offering quality installations that we are happy to stand behind, and for using only top quality materials and products. Our customer's complete satisfaction is always our goal; it has never been our practice to use high-pressure sales tactics to sell our services, but instead to offer a fair and honest price for the services you need. A Commitment to Quality When Max Schaefer started his company, in 1954, it was his plan to establish and maintain high standards of craftsmanship, install only brand name quality materials, and build a reputation for exceptional customer service. Over a half century later, Schaefer & Co. remains true to Max's original commitment to quality. The result is a contractor business that thrives on customer referrals. Almost 90 percent of the company's new business is from referrals of satisfied customers. Guaranteed Workmanship It's a Schaefer & Co. Tradition Schaefer & Co. offers a full range of residential exterior remodeling and repair services, including replacement windows and doors, storm windows and doors, skylights, columns and railings, siding, soffits, trim, gutters and downspouts, shutters and accents, patio covers, patio enclosures, decks, patio doors, shingle roofs, flat roofing, and all types of repair and maintenance. 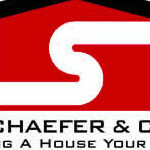 Schaefer & Co. is now proud to further expand services to kitchen and bathroom remodeling. Each Schaefer & Co. contractor job is carefully planned and performed according to customer specifications, and guaranteed for materials and workmanship. Quality and customer satisfaction are still our highest priorities. Our flexible acrylic stucco transforms the plain and ugly look of a cement foundation into a beautiful, pleasing, eye catching textured surface. We can fix annoying things like foundation tar, rust marks, pitted surfaces, poorly formed corners, etc. Full service exterior design company. We know that improving your home can sometimes be confusing, even frustrating. The team at Cincinnati Window Design is ready to make the home improvement and buying replacement windows process different in every way. In fact, when you call Cincinnati Window Design you actually speak to the owner. But more than that, Cincinnati Window Design provides superior products, competitive pricing, and friendly service, changing the way you view home improvement forever. We invite you to take a look around and give us a call for a free, no-pressure estimate. You'll be glad you did. Primo Exteriors LLC provides superior service for residential roofing, siding, window and gutters. We are a family owned and operated company located in Hamilton providing service to the greater Cincinnati, Ohio and surrounding areas. Primo Exteriors LLC maintains an A Rating with the BBB and Angie's List. What types of siding services do Englewood exterior contractors provide? Wood siding needs more maintenance than less-expensive, low-maintenance vinyl siding, but with proper care it will outlast vinyl siding, which can fade and crack over time. Your Englewood, OH contractor might also suggest fiber cement siding, which is fire resistant and termite-proof and can come with a warranty of up to 50 years. Find siding and exterior contractors in Englewood, OH on Houzz. Narrow your search in the Professionals section to Englewood, OH siding and exterior contractors. Find out how long an Englewood, OH exterior remodeling contractor has been in business, view portfolios, read reviews and get contact information.